1. Lie on your back on a floor or in bed, with your eyes closed. This is best basic position for first timer. Try to relax your muscle and let your body sink into the floor or in bed. 2. Place one hand on your upper chest and the other just below your belly. This will allow you to feel your diaphragm move as you breathe. 3. Breathe in slowly through your nose so that your stomach moves out against your hand. 4. Hold your breath for one second after slow inhale through your nose. 5. 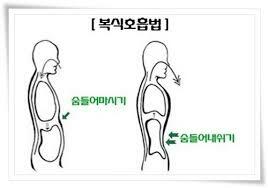 Tighten your stomach muscles, letting them fall inward as you exhale through your nose as deep as possible. 6. Gradually increase the amount of the time you spend doing the breathing exercise but at first 5-10minutes about 6-8 times a day. Insurance coverage for acupuncture varies depending on the provider. Some plans have no coverage, while others cover the entire cost of your treatment. Because of these variations, our office must pre-authorize your insurance coverage. If you are not sure if you have coverage, we will be happy to verify your coverage prior to your visit at no cost to you. Insurance will not cover the cost of any herbal supplements. Any amount due not covered by insurance is the sole responsibility of the patient and will be collected at the time of service. No problem! We have a number of options available to make receiving treatment more affordable. Please contact us for more information. All payments are due at the time of service. For your convenience, we accept cash, checks, and credit cards (Visa, MasterCard, and American Express). We require 24-hour notice of cancellation or reschedule. The number of treatments needed depends upon the duration, severity, and nature of your health condition. Two or three treatments may be sufficient for an acute condition, while a series of five to 15 treatments may be needed to resolve chronic conditions. Some degenerative conditions may require ongoing treatments over a long period of time. What are the Side Effects of Acupuncture? Acupuncture is generally very safe. There are occasions when slight bruising may occur. This is normal, and more frequent with patients who are on blood thinners or may be taking Aspirin regularly. If you are taking any blood thinners, or have a bleeding disorder, please tell your practitioner. Acupuncture can also cause one to feel light-headed or faint when being treated on an empty stomach. This is easily avoided by having a light snack prior to treatment. Yes! In fact, many women seek treatment during the early stages of pregnancy to help relieve nausea and vomiting from morning sickness. Toward the later stages of pregnancy, we often have women seeking relief from low back pain and other symptoms associated with pregnancy. Acupuncture also helps to normalize the fluctuating hormones after childbirth to help minimize the occurrence of depression, delayed healing, insomnia, and various other symptoms. The acupuncture needles we use in our clinic are stainless steel, very fine, and flexible. Every needle we use comes brand new from the manufacturer, they are non-toxic, and disposable (only used once, then discarded). Needles are typically placed in several acupuncture points and are usually left in about 20-30 minutes. 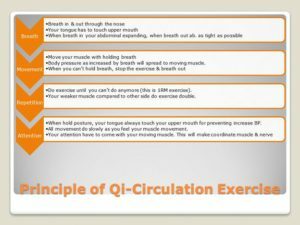 The goal is to normalize the circulation of Qi and blood by stimulating a particular acu-point, which encourages the body’s natural healing process. Other modalities such as cupping (placement of suction cups at particular locations on the body), auricular therapy (ear acupuncture, intradermals, or “seeds) may be used in conjunction with acupuncture when necessary. When the needles are tapped into the skin, there may or may not be any sensation. There are many factors involved in the sensations one receives from the needles. Generally, you will feel some sort of sensation that will subside once you begin to relax during your treatment. Your comfort is important to us. We use only the thinnest needles possible and offer a very gentle, yet effective treatment approach. Most of our patients report that they felt no pain from the needles at all. Having an acupuncture treatment on an empty or very full stomach is not recommended. We recommend having a small snack prior to treatment to prevent any adverse reactions. You will want to wear loose, comfortable clothing as most acupuncture points are on the extremities. We will provide you with treatment gowns if we need to access points on the back. Is There a Guarantee That Acupuncture Will Work for Me? As with any type of healthcare, there is no guarantee that any chosen method will work perfectly 100% of the time. That said, acupuncture has been proven to work exceptionally well for a wide variety of conditions. 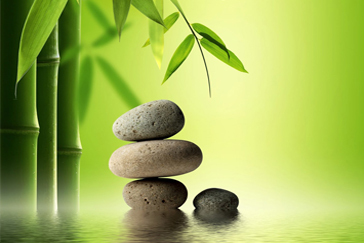 Acupuncture generally takes a number of treatments in order to achieve and maintain results. Patients often feel improvement after one treatment, though the level of improvement will vary from one person to the next. Am I Required to Take Herbs?